Editors note We realize that various interpretations and reactions to storyline elements in this film and their ramifications have been debated. We offer this review as one plausible viewpoint. Please also be aware there are spoilers in this episode, as major plot points are discussed. A weak and problematic entry into the Marvel Cinematic Universe, the female centric Captain Marvel is heavy handed and artless in its themes. The topic of feminism in the female empowerment sense and its ... See More relationship to heroism has been a trending topic on social media since the movies release. However, this film is a clunky sign post filled movie with badly wrought feminism rather than a feminist view that is secure with itself. This portrayal of female power clangs in desperation demanding to be heard. 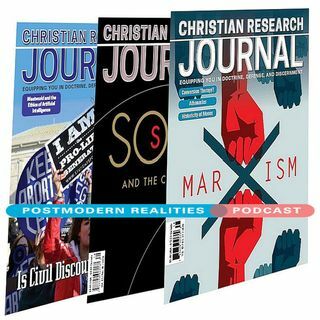 This Postmodern Realities episode is a conversation with JOURNAL author Corey Latta about his online exclusive CHRISTIAN RESEARCH JOURNAL film review Something to Prove Why Captain Marvel Just Doesnt Work.